There was a time, not too long ago, when construction companies avoided new technology at all costs. If it was an effective way to do things 20 years ago, then there was no reason to change it. 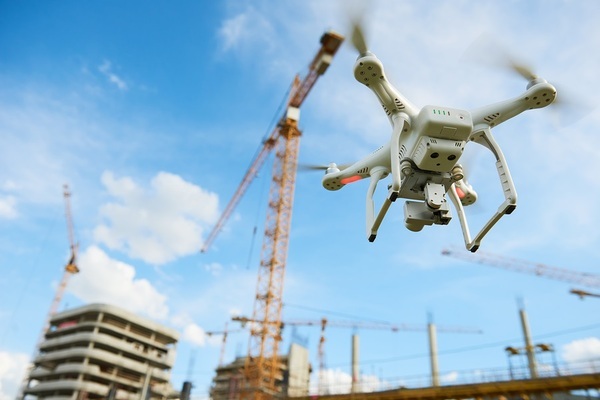 However, in recent years, construction company owners have started to show an appreciation for emerging technology and one of the more popular gadgets gaining traction in construction is the drone. A commercial drone, which is larger than a recreational drone, can be loaded up with high-tech cameras and software that can make life easier on contractors. If you talk to construction company owners these days, they will give you a lot of reasons why they love drones. Construction companies love the way drones make work easier. Prior to setting up a work site or hiring subcontractors, a general contractor will do a site survey to get a comprehensive understanding of the challenges the job will offer. In the days before drones, these surveys were done at ground level with a little help from a helicopter or airplane to get an overhead view. These days, drones are used to give comprehensive site surveys at a fraction of the cost. General contractors can now see every aspect of a site from all of the angles they need, and they can create more comprehensive guidelines for subcontractors to follow. When drone technology was paired up with 3D printing technology, something wonderful happened within the construction industry. Contractors can now use drones to create 3D models of ongoing jobs to give more accurate and complete updates to job owners. With this technology, it is now possible for a contractor to show a job owner any challenges that are slowing up production, and also show the owner the progress that is being made. Drones help construction companies to take job site safety and security to new levels. With regular drone surveys that can get into parts of an ongoing job that used to be impossible to access, construction engineers can now see potential safety issues before they become real problems and stop anyone from getting injured. 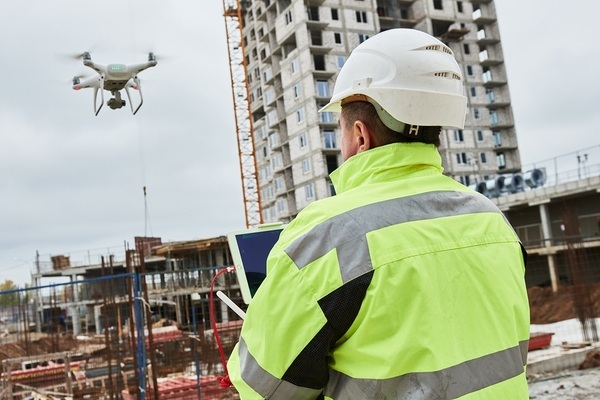 Drones can give construction site supervisors a bird’s eye view of the job site, which can help deter crime, catch criminals in the act, and prevent unauthorized access to the property. Since a drone is smaller and more maneuverable than a helicopter, the drone is able to deliver real-time job site images at a rate that a person in a helicopter could not. During a critical part of a project, a drone can deliver valuable analytical information much faster than any other monitoring device, and it can do so at a fraction of the cost of a helicopter or airplane. Construction drones can make your construction company more profitable and safer. When a construction company uses a drone, that drone should only be operated by an experienced professional. The FAA has plenty of rules that must be followed when it comes to drone operation and a professional will know how to follow those rules. There are plenty of drone companies available that you can hire to avoid having to pay for a drone and a full-time operator. However, if you know you will be using a drone frequently in your construction business, then investing in a drone that is easy to upgrade and operate is important. PDH Contractors has plenty of information on using drones that can be valuable to your business. PDH Contractors also has the construction training and licensing information your business needs to grow. You can browse courses by state to find the precise information you need to take advantage of the growth of the construction industry in your state.